As many as 21 unique culinary concepts, you’ll enjoy a level of variety, quality and creativity that’s simply unmatched anywhere in the Caribbean. Each restaurant is proudly run by world-class chefs who are as authentic as the cuisine they serve. And with six varietals of Robert Mondavi Twin Oaks® wine, your meals are always perfectly paired. Best of all, you can dine wherever and whenever you wish - all day, every day, because it’s always included and always unlimited. Sandals First Steakhouse, Butch’s Chophouse! Features the finest cuts of juicy beef made your way, seasoned to perfection, and accompanied by exquisite sides and flavor-boosting sauces. India boasts a diverse variety of regional cuisines that have so captivated the world over the ages. With a unique collection of intriguing, flavorful dishes, Bombay Club is the go-to place for scenic views, great times, and exotic fare. we tend to imagine one singular cuisine representing the entire country. In reality, Italian cuisine is made up of 20 diverse regional cuisines, each with its own unique ingredients and culinary philosophy. be charmed by the lively atmosphere and spirits of the olde country. Admire the authentic décor that makes up our entertaining British pubs including bars with brass railing, carved ceilings and solid wood floors. but each different cuisine accomplishes it in its own singular way. Whether finicky or adventurous, bold or timid, hearty or healthy, there is an Asian cuisine to suit every approach to dining - Sandals offers them all. French cuisine has evolved extensively. At Sandals Resorts you’ll find some of the finest French dishes in the Western hemisphere. From sea scallops laced in Chablis cream sauce and baked in a scrumptious puff pastry or savory duck á l’orange, you’re sure to find a dish to satisfy your palate. many diverse cultures evolve some of the world’s most unique cuisines. Our Caribbean restaurants reflect the culinary diversity of each island, all exciting dining experiences you can’t find anywhere else on the planet. Most Varieties of seafood can be prepared in a number of ways. Sandals invites you to try them all - fresh from the ocean. The options are nearly limitless, from island-style crab cakes with tomato ragout to perfectly prepared coconut shrimp. Nothing says comfort food better than your favorite snack prepared for you. Discover delectable eats and treats until the wee hours of the night or find your early morning indulgence with anytime dining at Sandals Resorts.  We’ve raised the bar on the Luxury Included® experience by partnering with Robert Mondavi Twin Oaks® wines. Selected for Sandals Resorts, there are 6 varietals to choose from, each one complementing our gourmet dining perfectly. If you're looking for a mid-morning pick-me-up, this cozy French-inspired bistro offers made-to-order crepes, decadent coffees and expressos, and freshly-baked pastries. Jamaica Blue Mountain’s coffee possesses an unmatched superior flavor and it’s included throughout all our specialty restaurants. Experience the warmth, comfort, and pleasures unexpected at Gordon’s on the Pier. Located atop a magnificent pier and offering an innovative twist to popular seafood delicacies, this outdoor restaurant is perfect for romantic dinners for two. Colorful Caribbean accents come to life in the vibrant décor, flickering mounted lanterns, open exhibition kitchen, and Gordon’s signature steak and seafood delights. Indulge in the elegant backdrop, caressing sea breeze, and the exotic cuisine of Schooners, an extraordinary restaurant specializing in Barbadian-influenced seafood where guests enjoy seaside terrace dining and cool, nautical themed decor. In Colonial times, schooners were fast, nimble ships employed in privateering, blockade running and, most commonly, fishing. With its colonial villa setting close to the sea, Schooners possesses an undeniable allure along with the best of the fisherman’s catch prepared in Barbadian styles every day. Italy’s fabled resort town of Portofino in the northern region of Liguria has long been a seaside playground of the rich and famous, lured there by lush green hills that cascade into azure Mediterranean waters. As evidence of Portofino’s rich culinary culture, al fresco eateries with excellent cuisine and grand vistas abound. At Portofino’s restaurant the warm, open-air atmosphere and the tantalizing scents of Ligurian cuisine wafting from the open exhibition kitchen offer up an authentic taste and feel of this idyllic seaside town. Il Cielo, means "the sky" in the Italian language–and the sky really is the limit with the ultimate dining experience this restaurant offers. Complete with white-glove service, this fine Italian restaurant with expansive views of Emerald Bay, serving a la carte breakfast and dinner. Choose from indoor seating in the midst of intimate pendant lighting and Bahamian-chic décor, or outdoor dining on a beautiful terrace overlooking the charming garden. Prepare to be charmed by the lively atmosphere and spirits of the Olde Country. Admire the authentic décor that makes up our entertaining British pubs. Known for tasty grub and good times, our taverns offer traditional pub fare including savory Shepherd’s Pie and crispy Fish ’n Chips. Always lively, The Wobbly Peacock, Cricketer’s, Drunken Duck, Tipsy Turtle, Merry Monkey, and Olde London Pub serve a diverse selection of premium spirits, imported beers and drafts. The Bayside Restaurant represents the culinary diversity of an equally diverse locale. With flavorsome Caribbean cuisine, guests from near and far can enjoy Bayside by day for buffet-style breakfast and lunch; and bask in its enchanting essence with dining by night for an exquisite a la carte dinner. Indoors or on the terrace, romance abounds. From miso soup, to teriyaki and sukyaki, enticing variety abounds at Tokyo Joe’s-a beachfront restaurant sure to whet the appetite of anyone who gets a whiff of the pan-Asian style cuisine prepared right before their eyes. This popular restaurant plays on the concept of cooking Western-influenced food on a wok, using the spices and seasonings of East and Southeast Asia. The lively enthusiastic chefs and exhilarating fire blasts are used to entertain restaurant-goers as their food is being prepared. There’s nothing quite like the dining experience at Soy Sushi Bar, a quaint restaurant tucked behind bamboo fronds and adorned with unique Oriental décor, dim lighting, and fresh, delectable sushi. This remarkable sushi house offers exciting flavors and exotic sushi creations made-to-order. 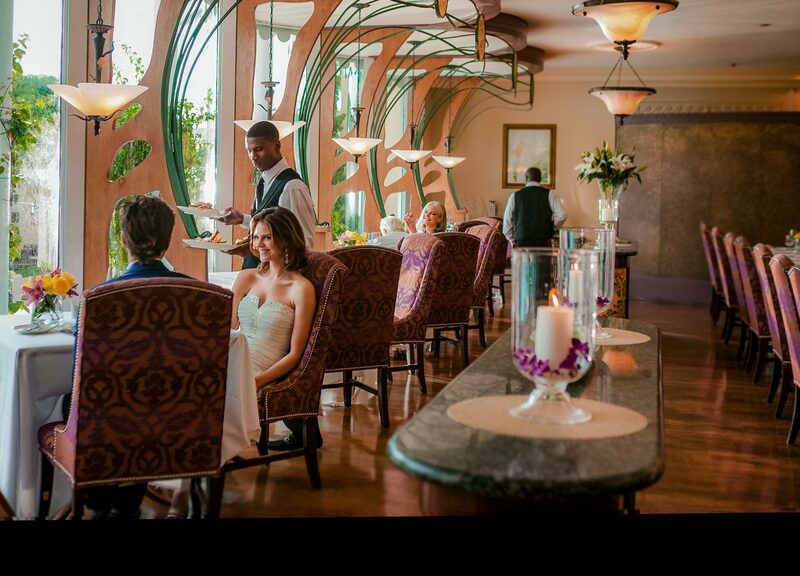 Romantic ambience, impeccable service, and scintillating cuisine makes The Pavilion a grand dining adventure. This Saint Lucian gem is a blend of exquisite décor, spellbinding romance, and scrumptious cuisine, with domed ceilings, massive columns, beautiful mosaic tiling, and unsurpassed ocean vistas from anywhere in the restaurant. Enjoy a lavish buffet spread for breakfast and lunch, and a delectable á la carte menu of international and buffet-style dining options for dinner. Once limited to home kitchens with mothers and grandmothers as the keepers of family recipes, the Southern cooking style has long been esteemed, producing delicious and wholesome cuisine perfect for sharing with a group of people. In the American South, a warm welcome is a way of life and the best taste of Southern hospitality is experienced around a table with kin and good friends. At the Southern Table, even strangers will feel like family when sharing a tall drink and delicious comfort foods that incorporate simple, garden-grown ingredients. Discover Cuisine Nouvelle A restaurant only a true gourmand would be happy to discover, Le Gourmand caters to those who enjoy good food, good drinks, and good company. In French, a gourmand is someone who knows and appreciates fine food and drink. Such a term could only come from the nation that elevated ordinary cuisine to a celebrated art form. In France, the French incorporate wine into nearly every meal and drink it simply as a refreshment or part of the recipe for the culinary meal itself. Cucina Romana has a legacy that stretches back four generations. When Sous Chef Thomas Damonte moved to the Caribbean from Grado, Italy in 2011, he brought his generations-old culinary craft with him, carrying on along standing family tradition of cooking up authentic, Italian cuisine . Only the best ingredients are used in the special meals prepared at Cucina Romana, where Chef Damonte skillfully creates inspiring Italian favorites. With its elegant and alluring art nouveau décor, curved windowpanes, and pendant lighting, Baccarat has some of the most unique interior design found in any restaurant in the Caribbean. Bay windows and white glove service create an ideal setting for a romantic evening where taking in the fascinating ambiance is just part of the fun. Guests can enjoy our award-winning French cuisine while overlooking a moonlit pool at night. 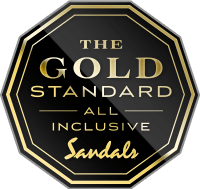 Since that fateful day Sandals Resorts’ Chairman opened his first resort, the name Gordon "Butch" Stewart has been synonymous with high-quality, luxury destinations. Making its debut against the stunningly beautiful Grenadian backdrop, our first-ever steakhouse, Butch’s Chophouse, serves up only the highest quality grain-fed Midwestern beef, hand-selected from top quality Black Angus and Wagyu steers. Discover Aphrodisiacal Exhilaration. The sandy pathways of Barefoot By The Sea add to the ambiance of this charming restaurant where you can actually show up...barefoot. Dig your toes into the soft, white sand while enjoying delectable, create-your-own-dish fare. With the sparkling Sea just steps away, there’s no better way to dine Caribbean style. The cuisine here is just as enticing as the charming vibe, presenting distinctive seafood offerings full of savory flavor. Whether you’re a lover of awe-inspiring architecture, lured by the mystery of the Orient, or a true foodie searching for the most unique exotic flavors, you’ll be amazed by the character of the offshore island restaurant, Royal Thai, where getting there is half the fun. A ride on an authentic Wayang Doll takes you to this distinctive island getaway-a destination in its own right. Love the water? The sparkling, clear-blue sea surrounds this extraordinary eating palace. Follow the tantalizing aroma of exotic spices and perfectly grilled delights to Kimono’s, a vibrant restaurant that serves up Japanese cuisine in a most captivating way. Kimono’s boasts mouthwatering cuisine prepared by skillful chefs who entertain with cookery tricks right before your very eyes! Awaken your senses with the mouthwatering scents of steaming seasoned meats and veggies fresh off the iron grill. Delicate flavors require careful preparation, so at Vista Gourmet, we treat fish and seafood with the respect it deserves. After spending the day delighting in a true Garden of Eden encompassing over 100 acres, Vista Gourmet is the ideal place to unwind and conclude an eventful (or relaxing) day. When guests are ready for refreshment and succulent seafood selections, this restaurant with a terrace offering spellbinding views of the Caribbean Sea is the perfect reprieve. Bask in the warmth of the sun and sea at this courtyard eatery, a laid-back bistro. Relax and enjoy the tranquility of the nearby waves embracing the seashore and the romantic promenade setting. The bustling Courtyard Bistro accentuates Antigua’s lush surroundings as guests from all over come to take pleasure in the full-of-life charm and savory favorites offered by this enchanting bistro. The breathtaking foliage and beautiful beach are just steps away and only add to the abundant variety of flavors offered here. Neptune, the Roman god of water and the sea, is one of the most well known deities of Roman mythology. It’s said that his powers are at the core of Neptunes, our Mediterranean seafood restaurant - and after dining here, you just might believe the old tale rings true. For years, the chefs of Neptunes have made it their mission to provide the most authentic reflection of Mediterranean heritage through robust menu offerings and a sundry setting.